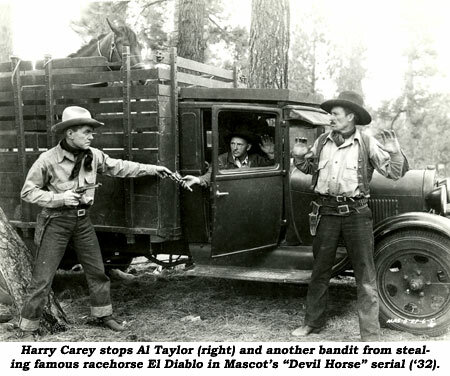 Al Taylor seldom got billing in the over 200 films he appeared in from 1926-1950. 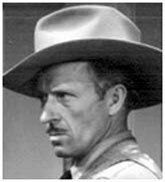 98% of his movies were westerns, along with some 32 serials. 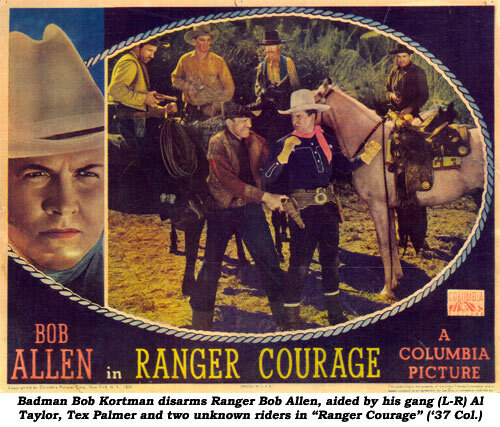 Usually, Al was simply one of the unnamed henchmen, but his ominous presence was felt opposite dozens of B-western stars. Alva Lee Taylor was born December 16, 1898, in Sparks, OK to William and Luda Taylor. He grew up in North Powder, OR, the second child of six. He went to California in the early '20s were he married Rose Wurth. In the silent era, from ‘26-‘28, Al worked for Associated Exhibitors and Pathé in the westerns of Wally Wales, Buffalo Bill Jr. and Buddy Roosevelt. Nothing was seen of Taylor from mid ‘28 to late ‘30 while he was serving in the military. He resurfaced in Rex Lease’s “Utah Kid” (‘30) for Tiffany. 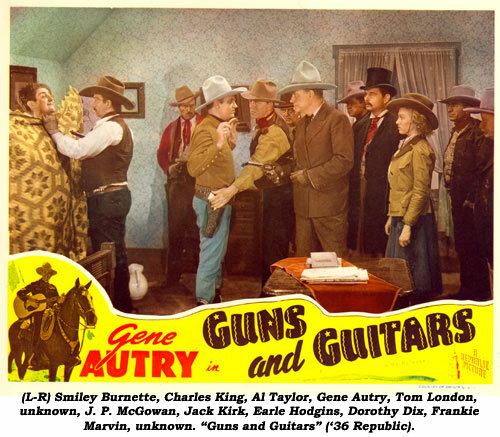 For the next 20 years Taylor appeared with great regularity in the B-westerns of Buck Jones, Tim McCoy, Bob Custer, Bill Cody, Tom Keene, Harry Carey, John Wayne, Rex Bell, Johnny Mack Brown, 3 Mesquiteers, Roy Rogers, Bob Allen, Bob Steele, George Houston, Bill Elliott, Sunset Carson, Eddie Dew and at least 15 Gene Autry titles. Most of Al’s westerns after ‘37 were at Republic with very occasional outings at PRC, Columbia and Universal. In mid ‘46 Taylor basically left films and became a steam engineer for the studios. His only roles after that were small parts in two Republic serials, “Dangers of the Canadian Mounted” (‘48) and “Desperadoes of the West” (‘50).